Americana spiced music has been blessed with some wonderful male-female duets over the years. Emmylou Harris and Gram Parsons were influential at the outset of the alt-country movement while The Civil Wars have recently wooed audiences on both sides of the Nashville divide. It’s a touch premature to anoint Anders and Kendall as the next big thing but their debut album is a welcome addition to the scene and sure to be well received by fans of this genre. WILD CHORUS is the debut release from the creative artistry of Anders Parker and Kendall Meade, a duo who have consistently worked together for many years though, until now, refraining from going the full distance and producing the ultimate duet recording. Austin based label Nine Mile Records have backed this project which was recorded in the Knoxville based studio of producer Scott Minor that also provided the inspiration for the name of the record. 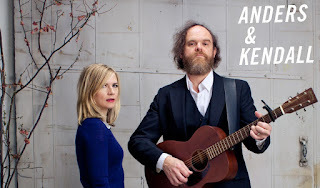 Throughout the eleven original tracks that make up this album, Anders and Kendall have fused their indie backgrounds with a hint of folk and pop to create a mesmeric hypnotic sound that will find its niche within the crowded Americana market. 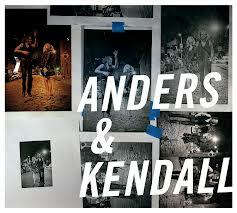 The blend of Anders’ seasoned and Kendall’ elegant vocals supremely supplement the soft guitar and regular back beat that feature strongly in a majority of the songs. These include the two prime tracks on the album, the spine tingling rhythmic ‘We’re on Fire Babe’, not surprisingly selected as the initial single, and the country-flavoured love song ‘Oh, Love’. The latter has that essential Americana ingredient of a hint of twang that melts into the soothing beautiful vocals. The sprinkling of a little harmonica on ‘Sleepwalking’ also gives the album a more authentic roots appeal. Harking back to recently acclaimed duets, you can’t fail to visualise the Plant/Krauss collaboration in ‘Let’s Get Lost’, one of the albums up tempo numbers with a shade more guitar and aggression. The rock theme continues on ‘Gettin’ Ready’, a bass driven indie inspired number led by Kendall’s vocals. The duo frequently exchange lead vocals on several tracks with Anders’ more worn voice dominating ‘Can You Forgive Me’ while they effortlessly glide along on ‘Play It’. However as you would expect from a duet recording there are numerous highs when the harmonies surface and there is no finer example than on the mellow album closer ‘The Sun Will Shine Again Someday’. Anders and Kendall have made a massive step to branch out as a duet but the sentimental euphonious sound of WILD CHORUS has given them a gratifying release to market their talents to mature music connoisseurs on both sides of the Atlantic. Hopefully it won’t be too long before they actively promote the record on these shores and visit the UK. An appreciative and knowledgeable audience will be ready to embrace their music.